Azerbaijan has proposed China to establish a working group in order to coordinate relations in the field of transport. 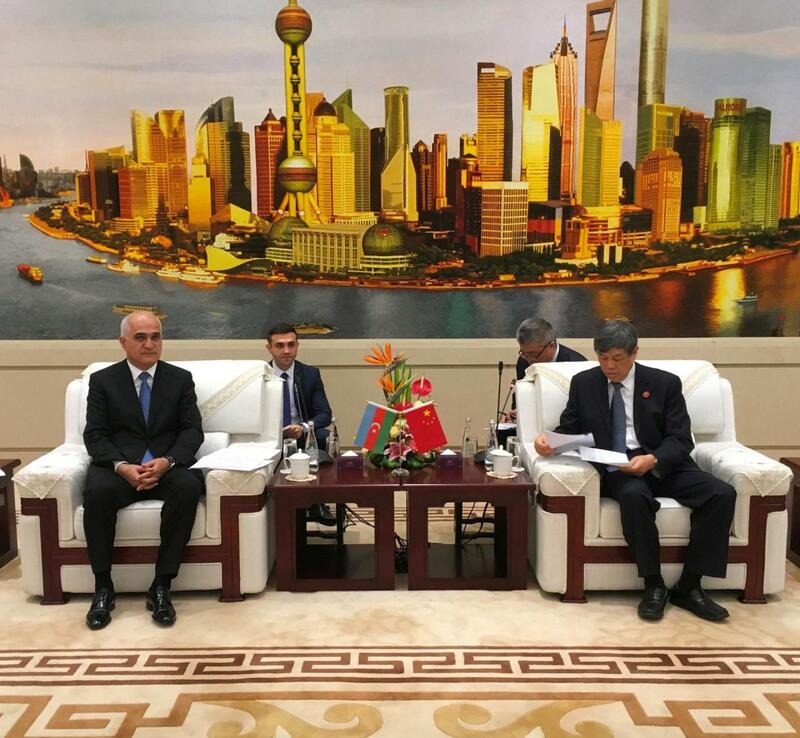 This issue was discussed at a meeting of Azerbaijan’s Minister of Economy Shahin Mustafayev with the General Manager of the China Railway Lu Dongfu, the Ministry of Economy said in a statement Nov. 7. Mustafayev noted at the meeting that the high level of political relations between the countries contributes to the expansion of economic cooperation, including the relations in the field of transport and transit. Azerbaijan, the minister added, supports the "One Belt - One Way" strategy of China. "The memorandum of understanding on joint encouragement of the establishment of the Silk Road Economic Belt signed during the state visit of President Ilham Aliyev to China in 2015, plays a significant role in the development of cooperation in the transport and transit sphere. The Trans-Caspian international transport route has great significance for implementation of China’s "One Belt - One Way" initiative. The use of the potential of this corridor will create favorable conditions for economic cooperation, especially in terms of investments, trade and transit," the minister said. Mustafayev informed the opposite party about the advantages of the Trans-Caspian international transport route. The possibility of holding in Baku an event for promotion of the route with the participation of China, Turkey, Kazakhstan and Georgia was noted. In turn, Lu Dongfu agreed with the proposal to establish a working group to coordinate relations in the field of transport. He stressed that in recent years, Azerbaijan, situated on the Silk Road, has been developing comprehensively. The meeting was also attended by Javid Gurbanov, the Chairman of Azerbaijan Railways CJSC, Rauf Valiyev, the Chairman of Azerbaijan Caspian Shipping Company, Akram Zeynalli, the Ambassador of Azerbaijan to China, and others. Mustafayev also met with the Vice-President of the Chinese CNEEC (China National Electric Engineering Co. Ltd.) company, Zheng Chengjun. During the meeting, the Chinese side expressed interest in setting up production of bus bar ducts in Azerbaijan.